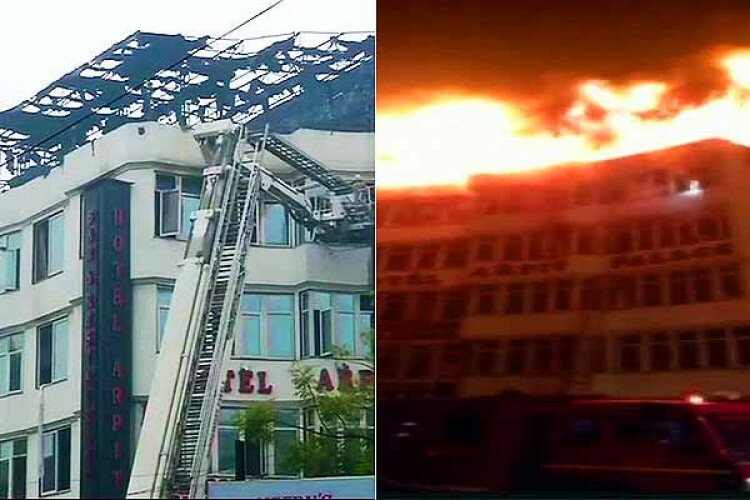 In a recent incident, fire breaks at a Delhi hotel which leads to the death of 17 people including the 2, who jumped off the terrace of the Arpit Palace in central Delhi's Karol Bagh. The accident happened today early morning at around 4 am. More than 2 dozen fire engines were sent to the hotel. By 7 am, the fire was under control, whereas the reason for the fire is not yet confirmed. 35 people were rescued.